The position of the state of Israel is disputed both in leftist globalist and in rightist nationalist circles. The reasons for this vary from understandable concern for the sufferings of the Palestinians to irrational hatred for everything Jewish. It is therefore important for us to express our clear and principled support for Israel as the homeland of the Jewish people. We shall further explain this position below. Both inside and outside the Jewish community there is a lot of confusion about the question whether this community constitute a religion or a people. Supporters of a religious definition point to the fact that anyone can become Jewish, just like anyone can become a Catholic. On the other hand, there are many in the Jewish community who have left the faith, but still consider themselves Jewish. Moreover, a child of a mother who is recognized by the Jewish orthodox rabbinate as Jewish is automatically considered by the community to be Jewish too. Furthermore, the state of Israel recognizes in certain instances DNA testing as a valid means to determine whether a possible immigrant can be considered Jewish. Sometimes the confusion about Jewishess may be caused by a lack of understanding that religion and nation are often on the same spectrum or continuum. Every nation has an origin story, a narrative in which of course the founder of the nation occupies a special position. His mission acquires an almost supernatural aura. In the Netherlands William the Silent, prince of Orange, occupies this position. He is called the Vader des Vaderlands ("Father of the Fatherland"). In earlier times, the Dutch used the slogan "Voor God, Nederland en Oranje" ("For God, the Netherlands and Orange"). Descendants of William still rule the country "by the grace of God". In the US the "Founding Fathers" and their inviolable Constitution are deeply revered unto this day. It can be argued that the Jewish religious experience has these same intense 'supernatural' nationalist overtones. For the Jews maintain that it was God Himself who called and gathered them to become His own people. In Jewish religious experience it is God Himself Who is their "Father of the Fatherland". But what about those converts to Judaism? First of all, it must be noted that this is a very marginal phenomenon. Men especially will not easily chose to go the road to conversion because they value their "bodily integrity". Furthermore, this process takes a lot of time and afterwards acceptance in the Jewish community is often not easily forthcoming. Therefore it is not easy to put a conversion to Judaism in the same light as joining the Catholic Church. Rather, it resembles an arduous assimilation process into a people. Becoming Jewish is like a very hard civic integration course. We support this Jewish approach to the idea of nationhood wholeheartedly. A nation is defined primarily by kinship, but all nations through the ages have known a (limited) possibility for foreigners to become part of the nation through an intense process of assimilation, such as adopting its 'civil religion'. The history of the Jewish people is the strongest argument for the fundamental value of nationalism. This already starts with the Biblical stories. They tell us from a time that the Jews would have been oppressed slaves in Egypt and how they escaped from the tyranny of the pharao under the leadership of Moses. Then, after wandering through the desert for forty years, they finally conquered their own territory and founded the Jewish states of Israel and Juda. Later these states were themselves conquered by the Assyrians and the Jewish people were driven from their homes. However, during their exile in far away Babylon they longed back to their home country with great intensity. To their immense joy they were finally allowed to return to their home by the great Persian king Cyrus. Now although the Jews could return to their homeland, they still suffered under foreign occupation. Many times the Jews rose up against the occupation, but always in vain. Finally, the Romans put an end to all Jewish aspirations. Jerusalem and the temple were completely destroyed, and the Jews spread all over the world as exiles. For almost two thousand years (!) they kept the hope alive that they would get their homeland back, a land that according to their Holy Scripture God Himself had promised them. We can hardly imagine what an incredible, divine miracle it must have been for the Jews when finally in 1947 the modern state of Israel was established. After all these centuries the Jews finally had a home again. A home where they were free from all oppression, free to live according to their own particular customs and convictions. 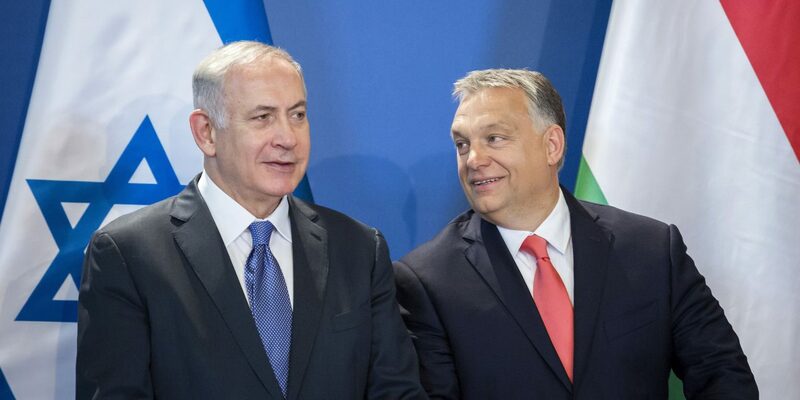 Nationalists Netanyahu and Orbán get along very well. This long and deeply moving history should speak with great intensity to any true nationalist. A history of great hope against deep despair. 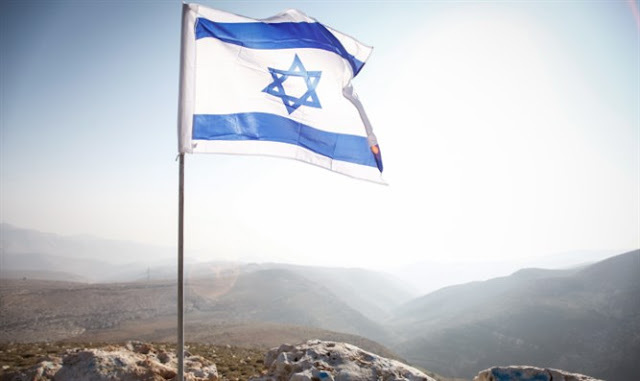 The Jews have shown us that it IS possible: in spite of almost two thousand years of suffering and setbacks the Jewish nation again have their own homeland. The tenacity and solidarity of this people and their never relenting desire and striving for their own homeland should be an example for oppressed nationalists everywhere.